There is something about young animals that makes all our hearts swoon. What is it about a tiny ball of fluff that elicits so much emotion in us that even the toughest of men are reduced to coos and non-sensical baby-talk? Perhaps it is evidence of the inter-relatedness of all life on Earth, but more likely it appeals to the one purpose that all organisms share: to procreate and spread genetic material. Whilst not all humans share this most primitive drive, for the rest of the natural world, this is the meaning of life. Its need transcends molecular complexity and cognitive ability, and is felt by even single celled organisms. However, whilst creating life is something common place in the world, for the offspring to be successful enough to continue the chain is a far less frequent occurrence. 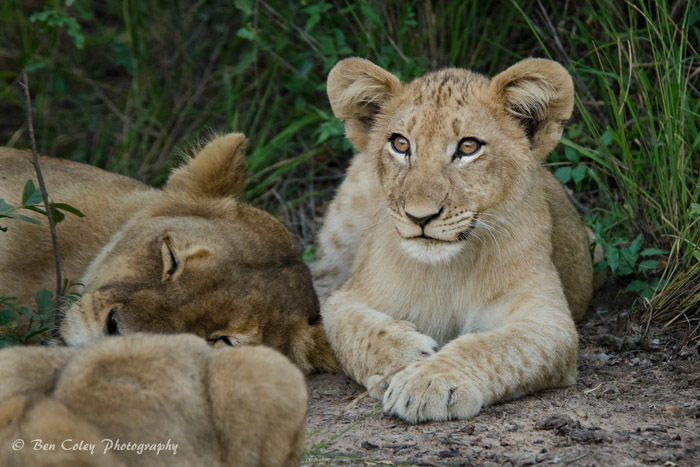 Despite their cute appeal, the two male lion cubs of the Askari Pride on the Greater Makalali Private Game Reserve face a tough life filled with rejection, violence and perhaps even a premature end to their gift of life. 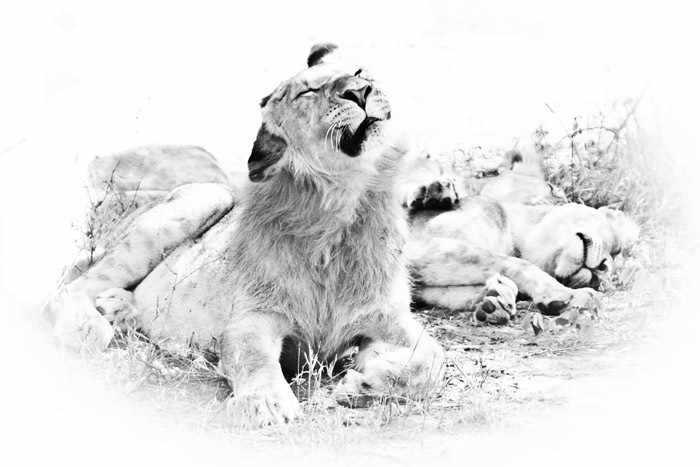 For the first two years they will be protected and nurtured by their mother’s hunting prowess, although they will have to learn tenacity from an early age to ensure they get the ‘lion’s share’ at meal time! 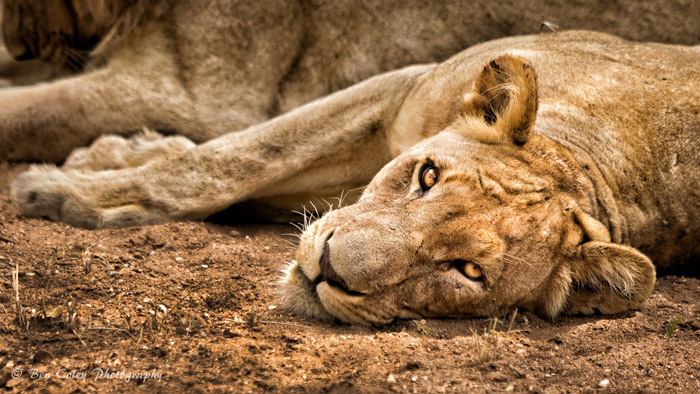 The current drought conditions in Limpopo should at least mean that prey will be plentiful. From two years and onward however, they will slowly be pushed from the pride by their father as instinct prompts him to eradicate competition, despite their genetic connection. Nature’s design may seem harsh at first but it has evolved to help reduce genetic bottlenecks and worse still, inbreeding. Being brothers, the pair will very probably spend their lives together, forming a coalition that should give them a better chance of taking over, and holding, a territory of their own upon reaching sexual maturity. Ejection from the native pride will signal a period of nomadism whereby they must put all they have learned to the test and attempt to survive on their own in the wilderness. If they survive to around five years, they will be subjected to what will be the first of many fights of their lives. To take over a pride means defeating its current king (or kings), and a king does not relinquish his throne lightly! Fights to the death are not uncommon, and often the loser is so badly injured that he cannot fend for himself and falls foul to the unforgiving circle of life. Should they be successful in taking over a pride, the focus turns to consolidation. Consolidation of not only their pride, but of their genetics. 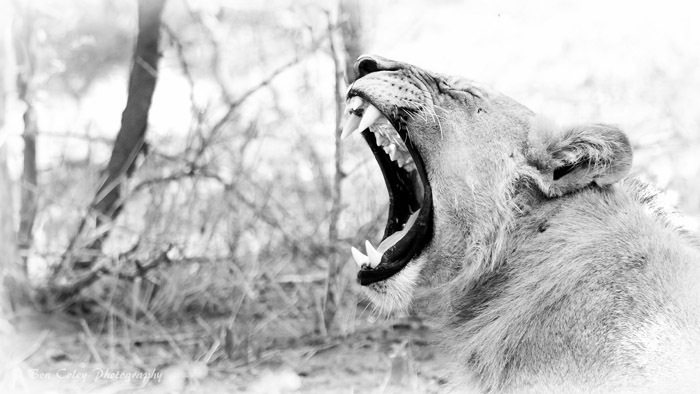 Male lions perhaps get five years to successfully breed before age renders them unable to fend off attacks from younger males, hungry to gain access to their prized resources. 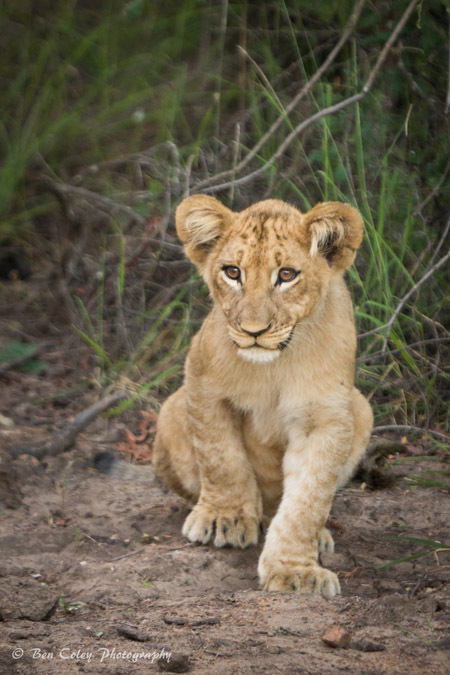 In order to facilitate success, it is essential that cubs are sired without delay and this is not possible if the current females have young. Their presence inhibits the females’ oestrus cycles and thus, in one of nature’s seemingly cruelest acts, cubs must be eradicated to supply the new rulers with genetic opportunities. We may see it as brutal, but remember that most animals are not governed by human traits such as conscience, and the animal kingdom is ruled by the egotism of personal success! 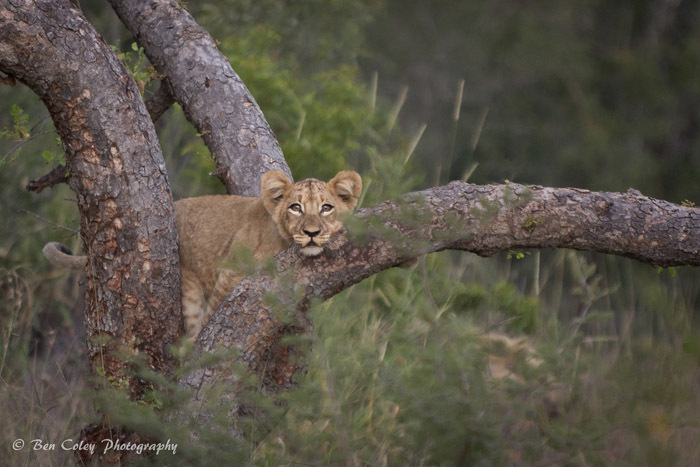 Despite the trials and tribulations that we know are unavoidable for the Askari cubs, their curious innocence and playful demeanors tug on our heart strings to such an extent that sightings of them are unerringly delightful. To spend time with these future feline sovereigns is a memorable experience. Just one of many afforded to the latest graduates of Bushwise Field Guides!